Cremona Musica 2018 inauguration: after the ribbon-cutting, a parade will start from the entrance of Pavillion 1 to reach the Sala Eventi Pavillion 2, where the String Orchestra “Galimathias Ensemble” will perform. 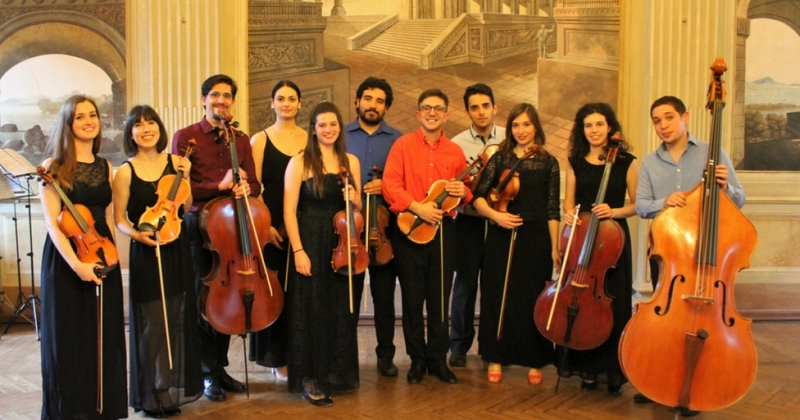 The string orchestra “Galimathias Ensemble” is born in 2016 in the Department of Musicology and Cultural Heritage, with the aim to create a working group that combines theoretical studies, and musical practice. Every year the Department welcomes many young talents that want to make music "with their head", and the creation of this orchestra gave more opportunities of sharing performing experiences. The group is currently formed by 15 students.